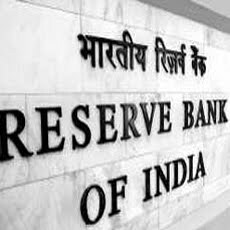 In a move aimed at boosting the efforts towards bringing more financial inclusion in the country, the Reserve Bank of India (RBI) has decided to permit banks to engage various type of companies except the non-banking financial companies (NBFCs) to act as their business correspondents (BCs). These companies will be in addition to the individuals/ entities already permitted by the central bank as eligible candidates for being engaged as BCs. The new guidelines have been formulated based on the feedback received from various quarters on engaging BCs, said the central bank in notification released on Tuesday. What the latest move by the RBI means is that banks can engage corporate entities like say ITC or a Bharti Airtel which have a large network to extend their services. 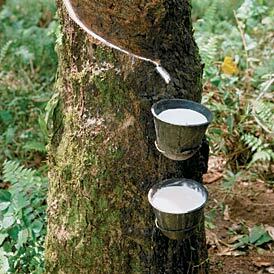 Physical rubber prices have improved further on Tuesday, though the future prices showed mixed trend towards the end but the severe short supply following continuous rains in the plantation areas led the prices move higher in the spot markets. The volumes though remained poor. 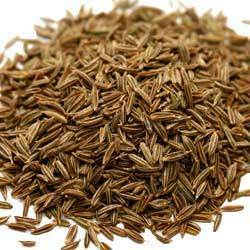 Spot price for RSS-4 variety closed at Rs 168.50 compared to its previous closing of Rs 168 while the RSS-5 variety closed at Rs165 compared to its previous closing of Rs 164. In a bid to achieve higher revenue from overseas operations in the next five years, Tyre major Apollo Tyres will further invest Rs 3,000 crore in the coming three years to push the growth it was targeting at. The company is planning to generate 60% of the overseas revenue for the group. At present, it is generating about 40% of the total group revenue from overseas operations and the rest comes from the domestic market. Besides, the company has invested Rs 2,500 crore in a greenfield plant at Chennai to ramp up car and commercial vehicles radial tyre capacity. Further, the company is open to acquisitions and greenfield manufacturing facilities in East Europe and Asia to meet the growing demand. Leading shoe manufacturer, Liberty Shoes is planning to expand its base in South India by setting up more retail outlets there. The company is planning to focus on tier-II towns and cities in order to increase its footprint across India. Further, the company, which had 58 stores in seven cities in the region, is anticipated to open up around 25 new stores, including one at Madurai, Puducherry and Chennai. Presently, the company has over 100 company-owned outlets and around 250 franchise stores across the country. It manufactures 50,000 pairs of footwear every year in its 12 facilities. Cantabil Retail India’s Initial Public Offering (IPO) which aims to raise up to Rs 105 crore has been subscribed 2.03 times on its closing day of its subscription as per the data available on NSE till 4 PM. The price band of issue has been fixed at Rs 127-Rs135 per equity share, the issue will close on September 27, 2010 I e today. It has so far, received bids for 16747000 shares against the issue size of 8267716 equity shares, 3757750 bids were received at the cutoff price. The company plans to utilize the proceeds for setting up a manufacturing plant and for expansion of its retail network. UCO Bank has signed a Memorandum of Understanding (MoU) with Toyota Kirloskar Motor (TKM) to meet the rising demand in the vehicle finance market. As per the terms of the agreement, the bank will be one of the preferred financiers for the entire range of vehicles sold by Toyota Kirloskar Motor and will be extending auto retail finance to Toyota’s prospective customers. The tie-up will enable the bank to increase its car loan portfolio as well as customer base substantially. 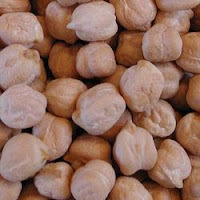 Chana futures rebounded from a contract low on Friday on bargain buying. However, higher production prospects and increased arrivals pressurized the rates of the commodity to some extent. Further, rains in growing areas in UP, Rajasthan, MP, Maharashtra and Karnataka have improved the moisture content of the soil leading to chances of better sowing during October for the new Chana crop. The contract for October delivery was trading at Rs 2244, up by 2.28% or Rs 50 from its previous closing of Rs 2194. The open interest of the contract stood at 122250 lots. The contract for November delivery was trading at Rs 2292, up by 2.23% or Rs 50 from its previous closing of Rs 2242. The open interest of the contract stood at 55270 lots on NCDEX. Kotak Mutual Fund has declared dividend under dividend options of Kotak Mahindra Balance Unit Scheme 99, an open ended balanced scheme. The amount of dividend declared for September 29, 2010 will be Re 0.75 per unit under the plan. The investment objective of the scheme is to achieve growth by investing in equity and equity related instruments, balanced with income generation by investing in debt and money market instruments. Physical rubber remained unchanged for yet another day on Thursday , though the start of the trade was weak but the late gains in domestic and global futures market helped the commodity to move higher. Spot price for RSS-4 and RSS-5 variety remained unchanged at Rs 165 and Rs 161.5 respectively. In the futures market contract for October delivery of RSS-4 closed at Rs 168.5 compared to its previous closing of Rs165.49, while the contract for November delivery closed at Rs 169 compared to its previous closing of Rs 165.54 on the National Multi-Commodity Exchange. The committee of Micro Technologies (India) in its meeting on 22 September 2010 has approved the allotment of 5,52,000 equity shares to Micro Associates Consultancy (India) pursuant to the conversion of 5,52,000 warrants. Consequent to the aforesaid allotment, the paid up capital of the company has gone up from 13,267,634 equity shares of Rs.10 each to 13,819,634 equity shares of Rs.10 each. Mutual Funds (MFs) made investments worth Rs 549.10 crore and sold off Rs 757.90 crore worth of equities on September 20, 2010, according to data released by the Securities and Exchange Board of India (SEBI). Thus, MFs stood as net sellers of Rs 208.80 crore in equities on that day. In the month of September, MFs have made total investments of Rs 7656.6 crore and sold off Rs 10305.7 crore worth of equities, so far. In the debt segment, MFs made investments of Rs 3599.80 crore and sold off Rs 1377.50 crore on September 20, as per the details available with SEBI. Thus MFs stood as net buyers of Rs 1532.60 crore on that day. After the latest policy rate hike by the Reserve Bank of India (RBI), analysts are now expecting that the central bank will soon shift its focus towards possible moderation in growth as little was left in terms of normalizing the policy stance. The Barclays Capital in this context said in a policy note that it expected the RBI to start focusing on moderating growth and fiscal scenario by end of the year. 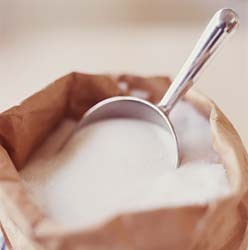 In what would constitute a major relief to sugar companies, the government is contemplating cutting down the quantity of the commodity that mills have to contribute at subsidized rates towards supply through the public distribution system (PDS). The change is likely to be implemented from the start of the next season beginning October 1. The move is being seen as preparation towards a partial deregulation of the sector by the government. While the government had touched upon the matter of decontrolling sugar many times earlier as well, the current situation with expected surge in production next season is perhaps the best time in years to implement the move. 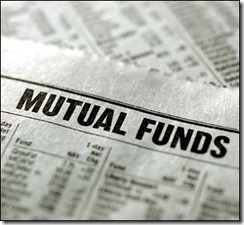 JM Mutual Fund has declared dividend under dividend options of JM Arbitrage Fund, a open ended growth scheme. The amount of dividend declared for September 21, 2010 will be 1.2% under the plan. The primary investment objective of the scheme is to generate income through arbitrage opportunities emerging out of mispricing between the cash market and the derivatives market and through deployment of surplus cash in fixed income instruments. Steel Strips Wheels has been awarded yet another business by leading suppliers based in Germany catering to the European after market. These orders are repeat while the first order is of approximately 5,000 wheels with a foreign exchange earning of nearly Euros 55,000.However,the company is pretty confident of getting repeat business from this organization. Earlier, the company in order to cater to the fast growing demand of Steel Wheel Rims in export and domestic market has planned to increase the capacity of its Chennai Plant by 4 millions Wheels by March 2011. This expansion is chalked out at a total cost of Rs 60.00 crore. Steel Strips Wheels is engaged in manufacturing of single piece steel wheel rims in the range of 10 to 30 inches diameter for scooters, passenger cars, utility vehicles and tractors. Ramky Infrastructure has fixed price band of Rs 405 to Rs 468 per equity share for its initial public issue (IPO). The issue will open for subscriptions on September 21 and close on September 23. The company plans to raise Rs 530 crore through this Initial Public Offer (IPO), in will raise up to Rs 350 crore through fresh equity issue and the balance Rs 180 crore through an offer for sale. The company intends to utilize this amount for investment in capital equipments, working capital requirements and repayment of loans. Ramky Infrastructure is engaged in construction and infrastructure development, operation and management. 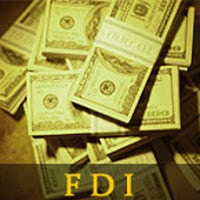 The three-year lock-in period for Foreign Direct Investment (FDI) in the real estate sector that has been dubbed by many companies and some analysts also as too tough a restriction to allow the smooth flow of foreign funds is unlikely to get any favour from the government. Rejecting the idea that there was a need to relax norms for attracting more funds in real estate sector, Commerce and Industry Minister Anand Sharma said on Thursday that the lock-in period was not too restrictive at all. The minister said that by nature the real estate sector was so that non-serious players looking for quick gains could not be allowed. Telecom major Bharti Airtel has appointed IBM to manage its African operations spanning 16 countries. A 10-year agreement is likely to be finalized in the fourth quarter. The strategic partnership will enable Bharti Airtel to scale its network and systems to more than 100 million African customers by 2012. IBM will deploy and manage state-of-the-art information technology infrastructure and applications to support Bharti’s goal of bringing affordable and innovative mobile services to remote locations in Africa. Principal Mutual Fund has declared dividend under dividend options of Principal Income Fund, an open ended income scheme. The amount of quarterly dividend declared for September 20, 2010 is 1.5%, half yearly dividend declared at the rate of 2.5% per unit along with yearly dividend at the rate of 4.882% under Principal Income Fund as on the record date. A quarterly dividend at the rate of 1.5% is also declared under Institutional Plan of the Principal Income Fund. The investment objective of the scheme is to generate regular income and capital appreciation/accretion through investment in debt instruments and related securities besides preservation of capital. IDFC Mutual Fund has declared dividend under dividend options of IDFC FMP Quarterly Series 58, a closed ended scheme. The amount of dividend declared for September 21, 2010 will be 100% of distributable surplus as available under the plan on the record date. The investment objective of the scheme is to seek to generate income by investing in a portfolio of debt and money market instruments maturing before the maturity of the scheme. The Reserve Bank of India (RBI) is set to announce the much awaited first ever mid-quarter review of monetary policy on Thursday afternoon. While the latest inflation data, as per the new series, has shown some significant decline to 8.5% from 9.9%, on a comparative basis if one looks at the old series, the decline in August numbers was marginal at 9.5%. Also, industrial production data for July indicated that despite the base effect, we might still be able to get some more double-digit numbers. 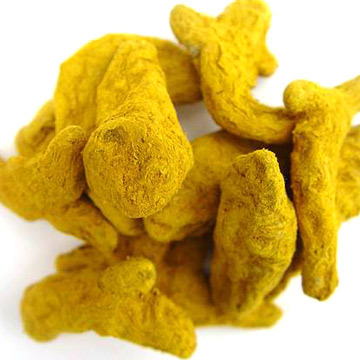 Turmeric futures are trading down on account of extended selling pressure. Estimates of higher production and early arrival of fresh crop are weighing on the sentiments too. The contract for September delivery was trading at Rs 11652.00, down by 3.43% or Rs 414 from its previous closing of Rs 12066.00. The open interest of the contract stood at 5200 lots. The contract for October delivery was trading at Rs 11800, down by 2.30% or Rs 278 from its previous closing of Rs 12078.00. The open interest of the contract stood at 4580.00 lots on the NCDEX. HSBC Mutual Fund has declared dividend under dividend option of HSBC Income Investment Plan. The quarterly dividend is declared at the rate of 2.2% per unit as on the record date. The record date of dividend distribution is September 17, 2010. The objective of the open-ended scheme is to generate regular returns through a diversified portfolio of fixed income securities. Wheat futures are trading marginally higher, the commodity is inching up since last trading on fresh buying activity against less arrival. 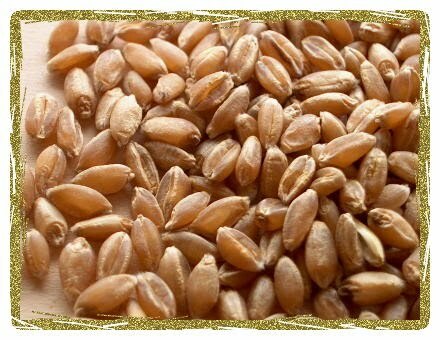 The prices have increased mainly due to increased offtake by flour mills to meet the festive and marriage season demand. 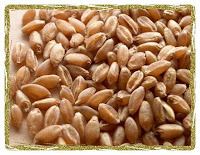 The prices have increased mainly due to increased offtake by flour mills to meet the festive and marriage season demand. The contract for September delivery was trading at Rs 1217.00, up by 0.03% or Rs 0.40 from its previous closing of Rs 1216.60. The open interest of the contract stood at 24060 lots. The contract for October delivery was trading at Rs 1237.40, up by 0.03% or Rs 0.40 from its previous closing of Rs 1237.00. ING Vysya Bank's board has shifted GMR Group from promoter category to non-promoter category. The decision is based on the small shareholding i.e, below 1% (0.97% only), the absence of any vested right to control the Bank, and the absence of any entitlement to even hold a position on the board of directors. As per the June quarter shareholding pattern available on the BSE, GMR group firms, including GMR Industries, GMR Estate (0.44 %) and GMR Properties (0.20% ), were among the promoters group companies of the bank. The Dutch financial group ING had raised its holding in the bank from 20 percent to 44 percent by acquiring a 24 percent stake from the GMR group in 2002. Birla Sun Life Mutual Fund has announced the declaration of dividend on the face value of Rs 10 per unit under dividend option of Birla Sun Life Tax Plan. The record date for dividend has been fixed as 17 September 2010. The quantum of dividend shall be Rs 2 per unit as on the record date. The scheme recorded NAV of Rs 49.30 per unit as on 8 September 2010. Birla Sun Life Tax Plan is an open ended Equity Linked Savings Scheme with a lock-in of 3 years and objective to achieve long term growth of capital along with income tax relief for investment. State-owned lender, IDBI Bank’s board has given its in-principle approval to the proposal for merger of IDBI Gilts (a 100% unlisted subsidiary of IDBI Bank) with itself. The board gave its approval at its meeting held on September 09, 2010. Recently, it raised its benchmark prime lending rate (BPLR) by 50 basis points (bps) to 13.25% effective from August 05, 2010. It has a network of 502 branches, 314 centre and 865 ATMs. Foreign tourist arrivals (FTAs) into India grew by 9% in the month of August this year to 3.82 lakh as compared to 3.50 lakh of tourists visiting the country in the same month last year, said an official release from the ministry of tourism. The number of tourist arrivals was 3.83 lakh in August 2008, the statement said. According to the data compiled by the ministry of tourism, the annual growth rate in August was more than twice the level of growth at 4.1% achieved in July this year over the same month of 2009, suggesting that the pace of growth in tourist arrivals was improving ahead of the Commonwealth games scheduled to be held next month in New Delhi. UTI Mutual Fund has announced dividend under Retail Plan - dividend option of UTI Fixed Term Income Fund - Series V - Plan III (24 months), a close ended income scheme. The amount of dividend declared is 100% of the distributable surplus as on the record date. The record date for dividend has been fixed as September 13, 2010. The investment objective of the scheme is to generate regular returns by investing in portfolio of fixed securities normally maturing in line with maturity period of the scheme. Telecom value-added services provider, One97 Communications, is likely to hit the capital market with an Initial Public Offering to raise up to Rs 120 crore by the end of this year. 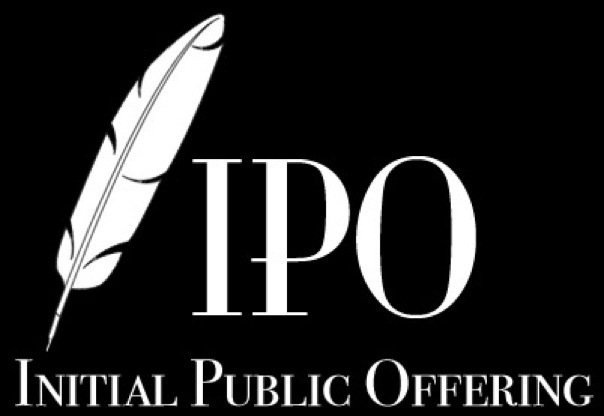 CRISIL Equities has assigned a grade of 3/5 to the proposed initial public offer (IPO) in its research report dated September 7, 2010. The report also says, 'One97 is a leading provider of telecom VAS to TSPs (they use VAS services internally and for their subscribers) and enterprise customers. The book-running lead managers to the issue are IDFC Capital and Avendus Capital, while Link Intime will be its registrar. The company will be using the issue proceed for procuring telecom equipment and software for installation at its own office as well as various sites of its customers and further, the company is also planning to deploy some funds to launch some new services and scale the current offerings, both in India and overseas.